In the beginning of September, Kim Ji Eun had her first solo exhibition, Serendipity, at MOKSPACE, London. She brought lots of happiness and colours through her illustrations. 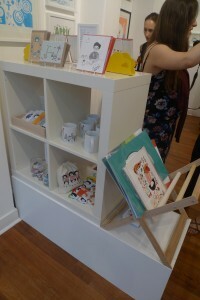 Now, I had a chance to talk with Ji Eun about her happiness and memories through illustrations. What are your first impressions/thoughts when being in London, a different Western/European country for the first time? Ji Eun: When I was travelling, it was full of excitement with the different culture and life style. However, when I was living in the UK, it was full of anxieties because I didn’t know many things about the real life here. What are your struggles in a different country and how did you overcome them? Ji Eun: As I didn’t know many people in the UK, I was so scared and nervous in the beginning with the fact there was nobody who could help me even though I had some problems. I guess it is a natural process for everyone who comes here for the first time. Luckily, I’ve met many good people here. They helped me settled down here and look at the bright side of London life. How did the colourful illustrations came about? Are these based on your experiences in London? Ji Eun: I love colours! I really do! I would like to play with various colours very like the impressionists. Of course, my London life is a big part of my colourful illustrations. But also, travelling in the different countries was a very good chance to develop my own colours palette as I could see the whole different colours from different cultures. Could you explain about the drawings from your scrapbook? Ji Eun: I try to carry my sketchbook everyday and everywhere. There are so many different things such as doodling, planning for tomorrow, idea sketches for upcoming projects and my personal journal. Sometimes, I draw something without thinking deeply in order to make myself into the creative mood before starting the actual work. 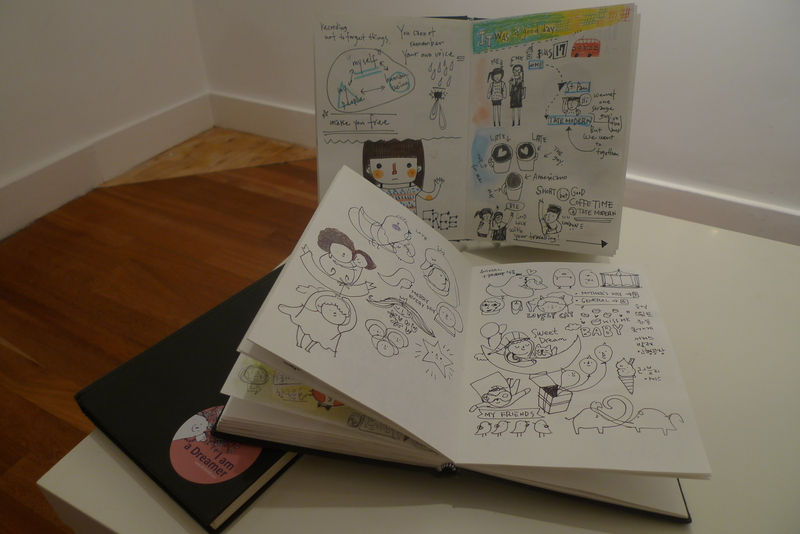 My sketchbook is a witness of my everyday life and shows what I think and see, also how I am! For the small selections of portraits, how did you meet these amazing people? Ji Eun: They are from everywhere! Some of them are my real friends who I met in the UK and helped me a lot in many different ways. Some of them are totally strangers to me. Even though I just met them in the street or the market, I needed to draw them because of the special feeling at the moment. When planning to input illustrations to materials (eg. 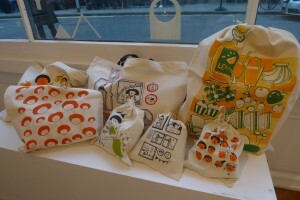 badges and tote bags), are there any difficulties to find the right products to fit well with your illustrations? Ji Eun: Making my own products which people can use everyday is very interesting way of sharing my illustration with people. However, there are only limited options which I actually I can make for now – such as greeting cards, postcards, badges, pockets mirrors and tote bags. I normally have a plan what kind of products I want to add to my collection first, so I can consider their sizes, colours when I’m making the images. Planning in advance is always key! Do you have any plans to do illustrations in different mediums, such as continue to do short animation illustration videos? Ji Eun: As much I love hand painting, I also like to play with digital media. With the massive help of digital software, I could approach in making short animations. I haven’t had many chances to make more videos yet, but I would love to continue making more short animations with my illustrations. Among all your illustrations, which one made you put in a lot of effort while having the thought sharing the piece of happiness to the people? 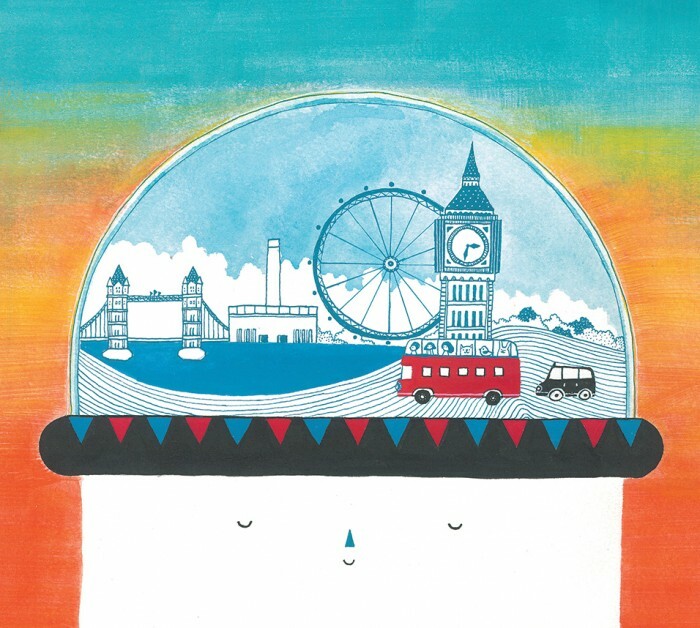 Ji Eun: For my exhibition, Serendipity, I painted ‘Serendipity in London’ which was the main image of the exhibition. I wanted to have a simple and clear image, which can show what the exhibition is all about. I spent quite some time to think of the idea and layout before drawing the picture. If you were to give one of your artwork the people who are going through tough times in a different country or situation, which one would it be and why? Ji Eun: One of my favourite images, ‘Orange People’! 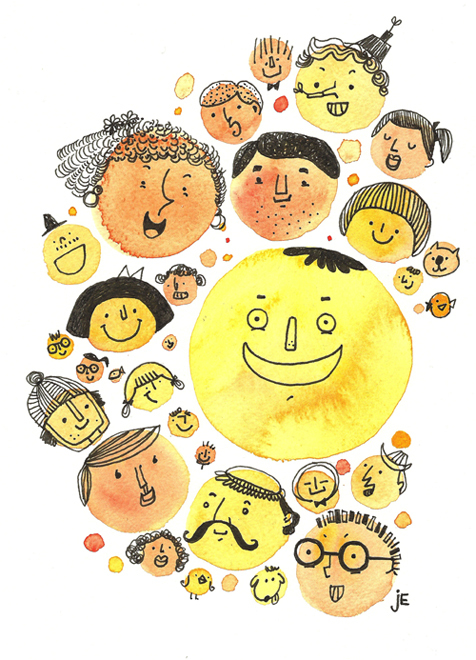 As all of them are smiling in ‘Orange People’, they will make you smile. Even though you think we are all different here, actually we are all same – we are all oranges. 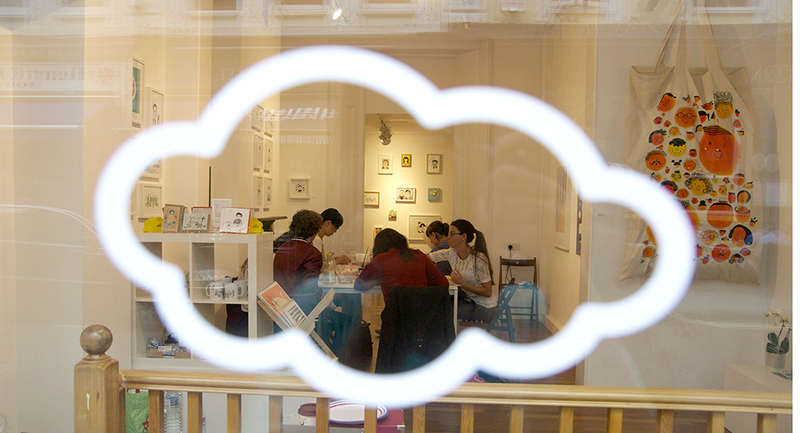 In the near future, would you love to arrange workshops to give visitors the opportunity to draw illustrations? Ji Eun: For sure, I would love to do that. I want my exhibition active and alive with the interaction between my works and visitors. Having the first workshops during my exhibition, I learnt so many things from there. I will plan more exciting workshops for my future exhibitions or events. Are there any future plans for your upcoming illustrations, art exhibitions, and arts and craft markets? As I will stay in Korea this winter, I have more plans for exhibitions and Christmas markets in Korea. I’m planning to have another solo exhibition in Seoul this winter to share my works and experience in the UK. Whenever I have some exciting news, I will post on my Facebook page. Would you like to say some inspirational messages to the fellow readers? Ji Eun: Follow your dream! It’s not always easy, but it will make you smile in the end. That’s what I’ve leant so far. Thank you! Thank you, Ji Eun for allocating the time to participate in the interview. You can follow Drawing Hand through both Facebook and website to see her colourful illustrations. You can also find out what are her upcoming plans. I wish her all the best in continuing to bring happiness through her illustrations.